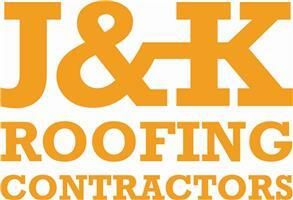 J & K Roofing - Fascia/Soffits/Guttering, Roofer, Windows/Doors/Conservatories based in Redhill, Surrey. Re roofs are being booked for next year, this time of year repairs are still being carried out, same day appointments can be available subject to availability. Welcome to J&K Roofing, a family run business with over 25 yrs experience in all aspects of the roofing trade, highly reputable we offer competitive and free no obligation roofing quotations and advice. We provide a wide range of roofing services from minor roof repairs, flat roofing, tiling and slating to complete re-roofing and chimney refurbishments. At J&K Roofing we use the highest quality of materials available and fit to the manufacturers specifications to ensure maximum life of products. All projects are managed in an efficient and concise manner at all times to minimise any disruption to your property. E-mail currently unavailable, please call or text for any enquiries or quotations, apologies for any inconvenience. Based in Redhill. We cover a large area of Surrey and West Sussex.